I’ve always had a propensity for handmade material. The satisfaction of creating something which spawned in your head then making that idea a real item is quite remarkable, and what drew me to design. As we embark into the sustainable age designing with previously used materials is a challenge of admirable quality and by some considered a necessity. Stumbling through the internet I came across a business owning many these things to which I admire. Outside Up is a small shop in Portland Oregon aimed to getting people and nature closer together. 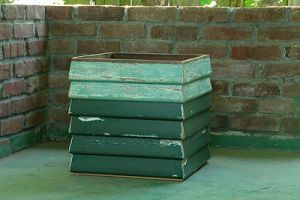 Handcrafting made-to-order planter and boxes and furniture, and on-site-constructed platforms and structures, utilizes previously used construction materials for their designs. Conducive to purchasing custom furniture is the contribution made to limiting environmental impacts and owning a unique piece that will add richness and quality to surrounding landscape.